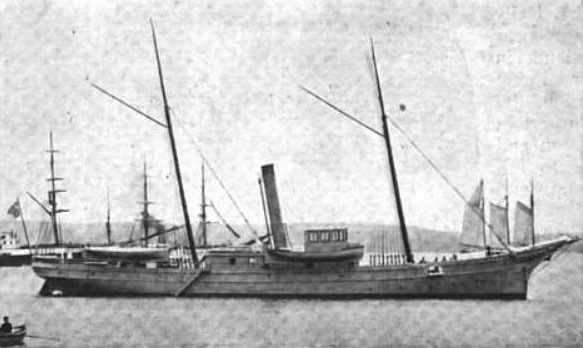 Type and Characteristics: Steam cutter (above, at Port Townsend, Washington, 1884), built by Risden Iron Works, San Francisco, CA, white oak and yellow fir from Oregon and Washington, fitted with bilge keels and iron-wire standing rigging, entered service 1873, 235 tons displacement, 155 ft long x 22ft beam x 9ft 7in draft, vertical cylinder, surface condensing steam engine, armed with 2 guns of unknown type and calibre, crew of 39 - 8 officers, 31 enlisted. Log Period and Areas of Service: 1873-1897, Alaskan waters. 3 July 1873 - Accepted for service by Revenue Captain White. 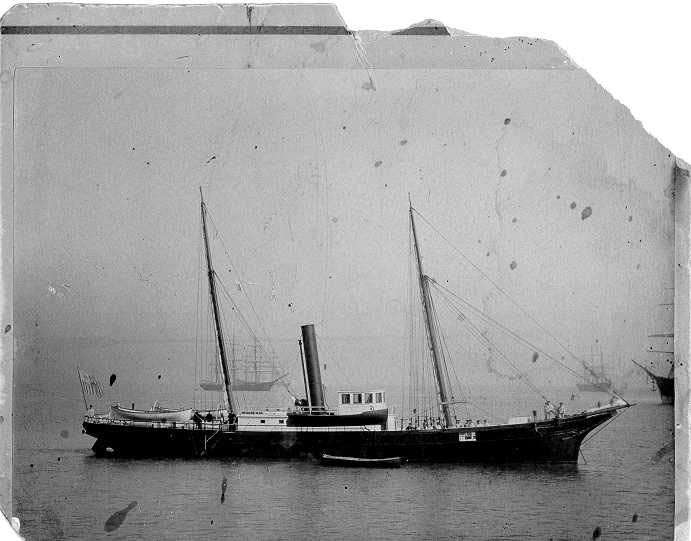 On the 30th, replaced USRC Wayanda, whose crew cross-decked to Wolcott. Operated out of Port Townsend, WA with Bering Sea Patrol. 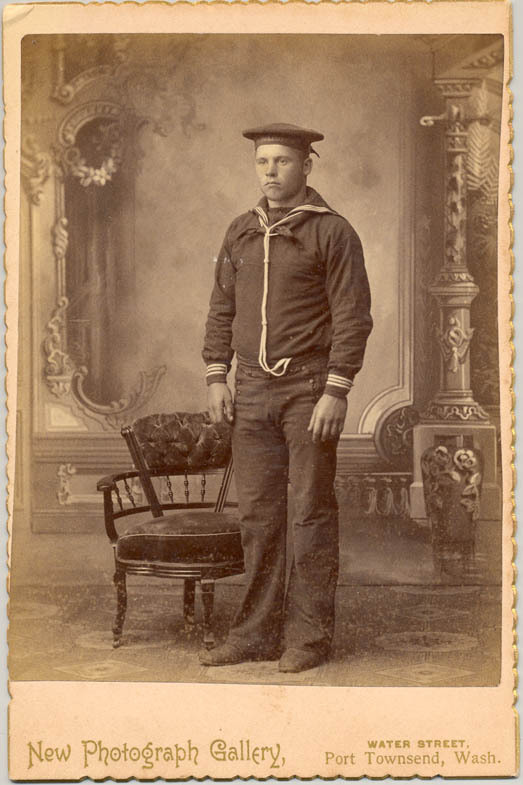 1882 - Crew deserted, probably due to low wages. Revenue Captain L N Stodder had been ordered not to allow wages to exceed $40.00 per month. 1883 - Requested by British Columbia authorities to be present at Fort Simpson to prevent an "Indian outbreak". Fate: 19 February 1897 - sold to Joshua Green of Seattle for $3,050.